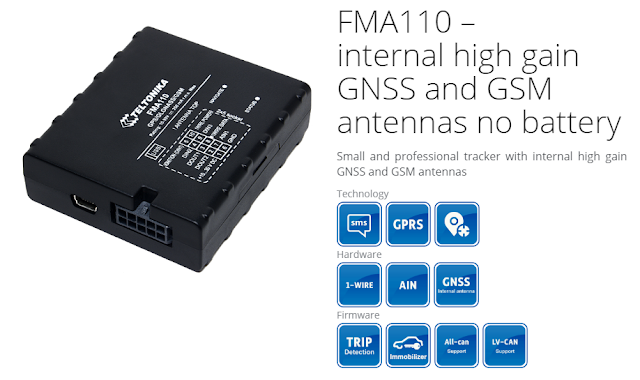 With new integrated GNSS module, Your tracking experience will be better than ever before. Even higher sensitivity, faster than ever cold start and almost instant hot start ensures that Your fleet will be tracked precisely. With additional Teltonika Vehicle CAN adapter you will be able to acquire CAN data from any kind of transport such as light vehicles, trucks, buses, agriculture transport, and special transport. Supported vehicles list contains more than 1800 models. 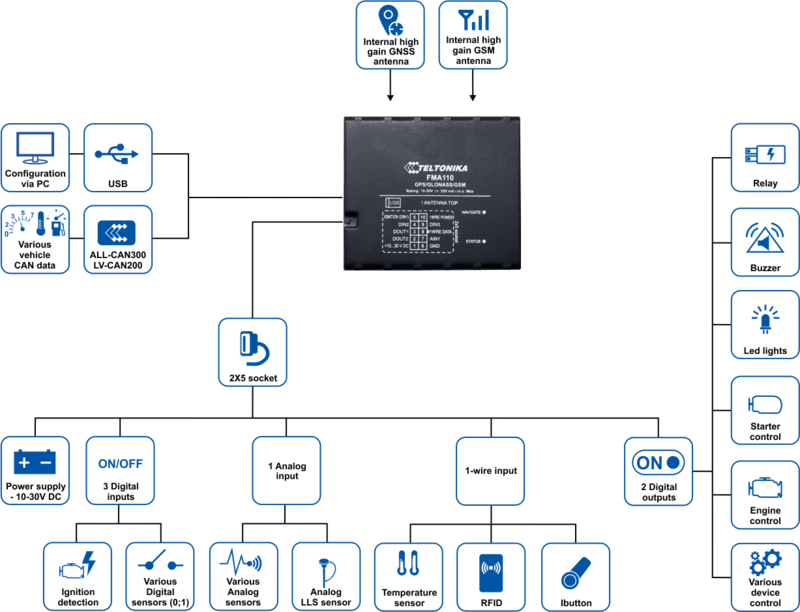 1-wire protocol support enables you to identify your drivers and connect up to 4 temperature sensors. 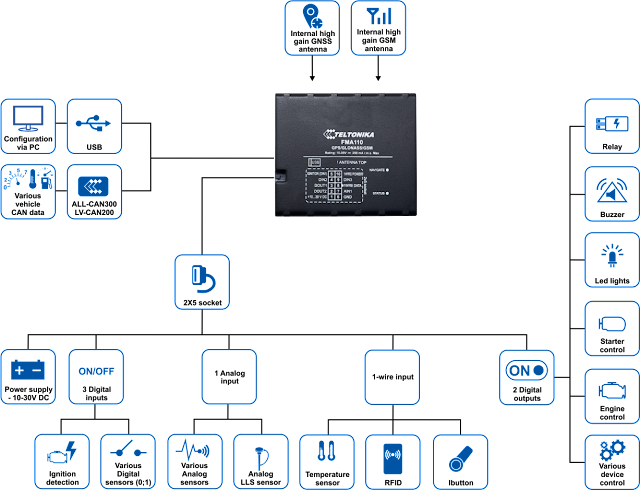 According to iButton® or RFID ID you can prevent unauthorized access to your fleet and temperature sensors allows you to monitor your cargo. Easy to install, hard to find! Small case, internal GSM and GNSS antennas allow mount tracker much easier. Dimensions only 65x57x19 mm. Easy trip start and stop detection gives you possibility to have the report with correct time, location and driven distance for each trip.